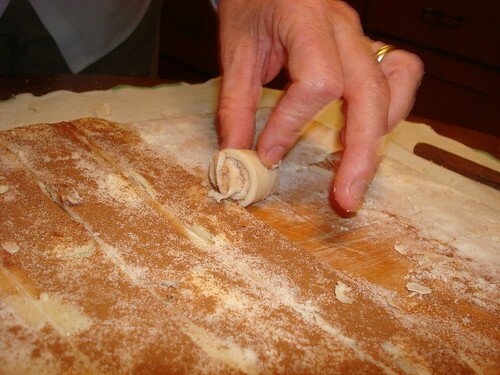 Growing up, when SpyMom brought out the pie plate and the rolling pin, the entire family got very excited. 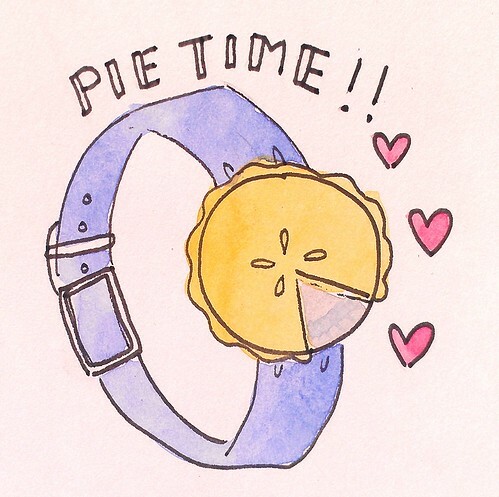 You may assume that it was because it was pie time. But, well, you'd be wrong. Because although we weren't going to turn away one of SpyMom's pies, what we really craved were the precious bits created with the leftover scraps of dough, which she'd polka-dot with butter then sprinkle with cinnamon and sugar and then roll into spirals, baking them in the residual heat of the oven and presenting them to her hungry masses under the name Roly Poly. 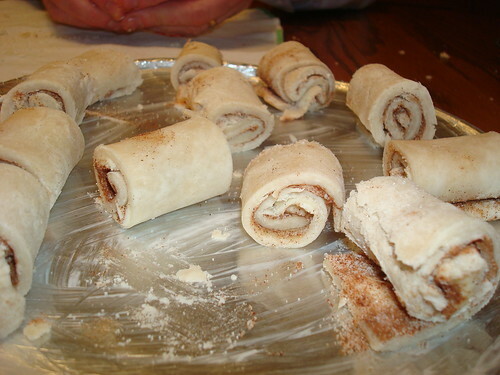 I have no idea why SpyMom called them Roly Polies--she said that she had started making them because that's how she'd been taught to use the leftover pie dough from a neighbor, when she was a girl. It's likely owing to their short and squat nature. After all, when I just now looked up the definition of "roly-poly" in the dictionary (it was there! ), it said "A short plump person or thing." 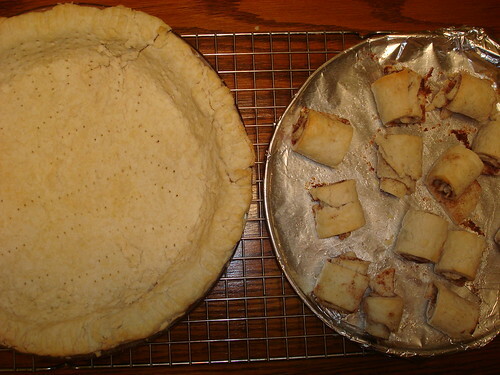 I don't know how to scientifically explain how such a simple thing as coating pie crust with butter, cinnamon, and sugar creates a treat with an almost crack-like addictive quality. But just take a bite. You'll lose yourself in the gooey midsection of this pie crust cookie-treat, which is soft, but lightly salty, and gooey. You'll want more. I guarantee it. And to prove it, I will present evidence of how beloved these treats have become in my family. 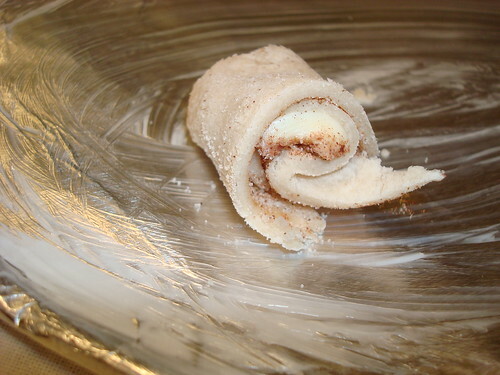 No longer are they the way to use up leftover pie crust: my mom will actually make up an extra batch just to make roly polies. Me, I'm just as happy cutting simple strips. You can see for yourself the next time you've got some extra pie crust rolling around--but be warned, you may be setting yourself up for a lifetime of craving. Is your oven already heated? 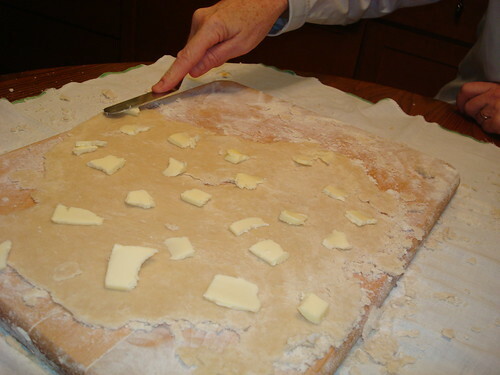 If not, preheat it to 400 degrees F.
Dot the crust all over with butter. 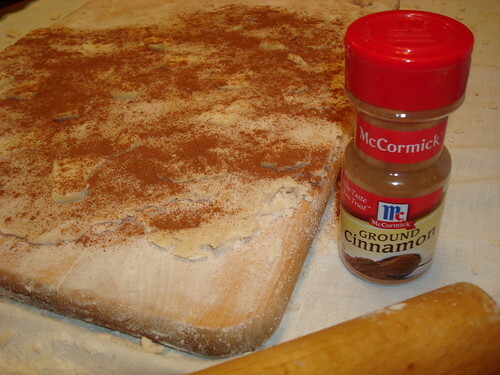 Now, coat it with cinnamon. 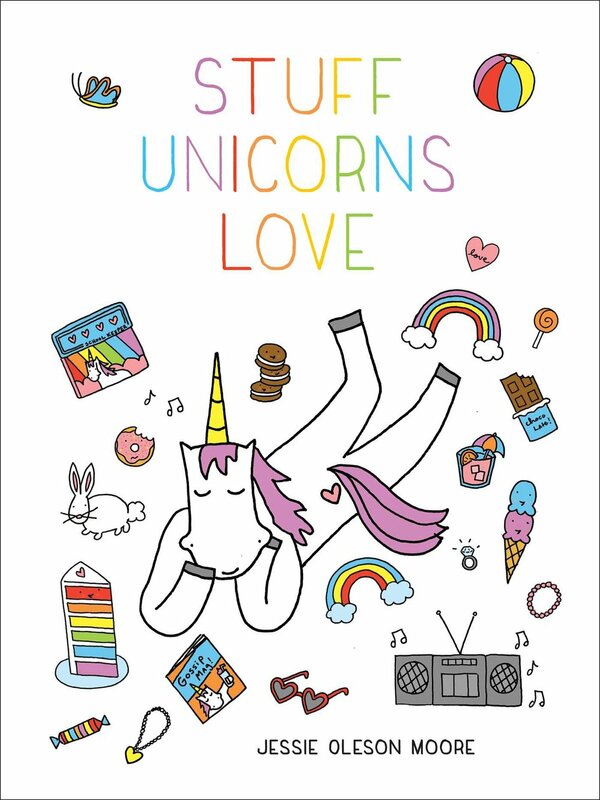 If you want, give it a sprinkle of sugar, too. 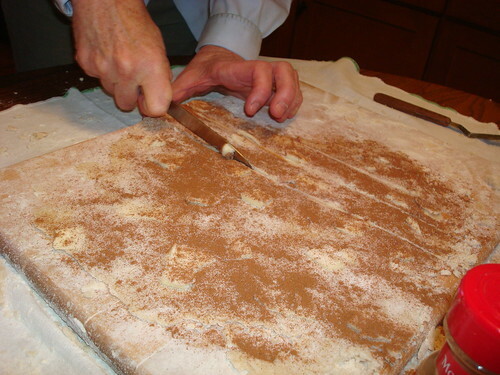 Now, slice it into strips. 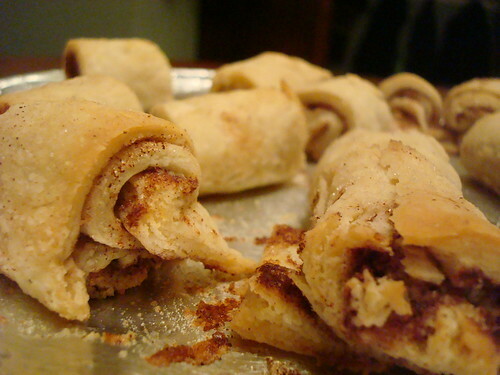 And then roll them up. Bake for 5-10 minutes, or until golden. Enjoy! Did you have any treats like this in your house while you were growing up?